I apologize, but over the years of blogging at StarbucksMelody.com, I sometimes write blog articles that sound a bit like a page out of Melody’s diary! This might be one of those entries! I won’t be offended if you stop reading. Today, (August 17, 2013) I definitely had a quest this morning. 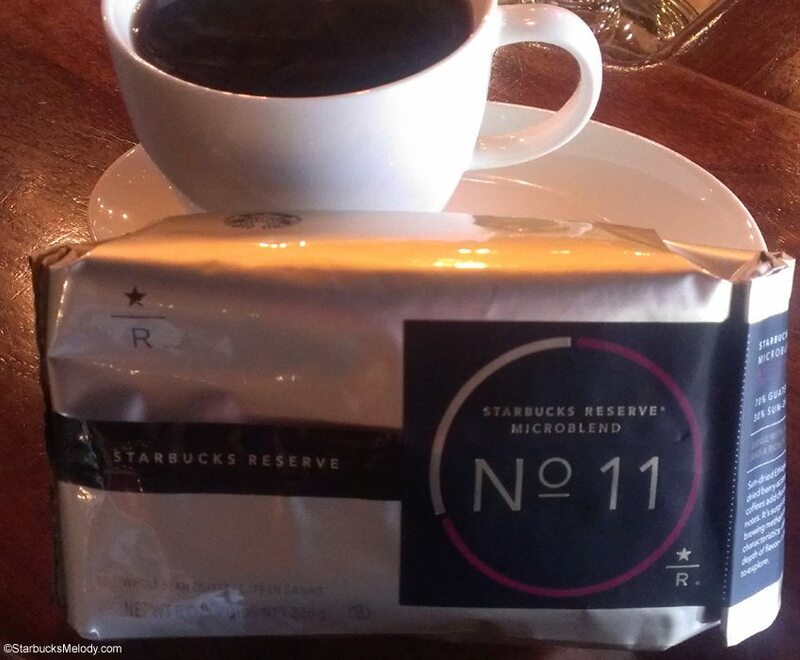 I had heard gossip about “Starbucks Reserve Micro Blend 11“, and I wanted to try it. 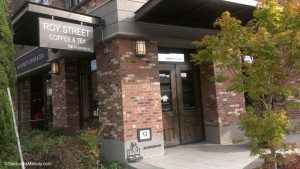 I had heard the only location (in Seattle) where it could be found was Roy Street. I was very goal-directed this morning, in that I was hoping to get my hands on it. I heard pieces of gossip about this special coffee. One person told me that Roy Street was all out, but I decided I would drop by anyway. Another person had told me that the only two places actually selling this Reserve Micro Blend 11 coffee was Roy Street Coffee and Tea and the Herald Square Starbucks in New York. 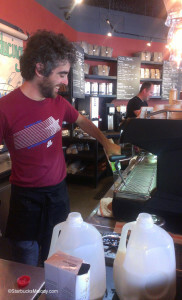 But before I talk about Reserve Micro Blend 11, I have to say that I was delighted to walk in and see barista Matt on bar! I met him in 2006, when he worked at the Fourth and Cherry (Columbia Tower) Starbucks in downtown Seattle! He went from the Columbia Tower store to 15th Avenue Coffee and Tea in 2009 to open up that concept store, so I continued to connect with him there as well. I often joked with him that he was famous. When 15th Avenue Coffee and Tea (now a Starbucks) was brand new, he managed to sneak into a number of news articles about that store. You can see Matt in this link here, wearing a blue shirt. Matt told me all about being in a band called “Crazy Eyes,” and mentioned that he was playing tonight. He asked me if I wanted to come see him play tonight, and I declined. I have a group of friends with whom I have volunteered regularly, and tonight we are making a meal at Operation Nightwatch for Seattle’s homeless. I suggested to him that he should visit StarbucksMelody again soon, telling him that he will see his picture there! He wanted me to look at Crazy Eyes, so we did a little pinky-swear that we’d each check out the other’s website/page. Roy Street Coffee & Tea is located at 700 Broadway East in Seattle, and the phone number is (206) 325 – 2211. Turning back to the conversation about Starbucks MicroBlend 11: Wow. That is amazing. I loved it! I genuinely love great coffee. The side of the bag says it is 30% sun-dried Ethiopia, and 70% Guatemala Antigua. The bag describes it as “dense with jammy berry notes and a rich, port-like mouthfeel.” There were two bags at Roy Street, and so I bought both. Jacob, the store manager of Roy Street, thought it might be possible that they’d be getting in one more shipment of MicroBlend 11 sometime this upcoming week. I talked to Matt about this coffee, and he described it as “raspberry jam.” It is exquisite. At this point, having had a lovely breakfast, and a fantastic opportunity to catch up with Matt, I decided to walk home. I headed south on Broadway, and realized that I would literally be walking right past the new Pike and Broadway Starbucks on my way home. I figured that I should stop in there too. It’s about half way between Roy Street and home. So, I dropped by Pike and Broadway, sat down with a Cool Lime Refresher, and played Words With Friends for about fifteen minutes or so. I was pretty engrossed in my games. When I looked up, Howard Schultz was standing directly in front of me. He was literally right in front of me, in the line to order, with the table between us. He then saw me, and immediately reached out and shook my hand. We chatted for a moment. I was still feeling effervescent about scoring two bags of Micro Blend 11, and so I pulled them out of the paper bag, and proudly showed them to Howard. He smiled. He said to me, “That coffee is fantastic. It’s extraordinary.” We had another moment of chatter. And then I finished my drink, and headed out the door, as Howard continue to hang out at Pike and Broadway. I overheard one of the Pike and Broadway baristas telling him about the store design, talking about the original building elements that were retained in this Starbucks, such as original molding up high along the ceiling. I then I headed toward Union Street, and walked down the hill home, and wrote this article, which is truly a page of my day. I hope you don’t mind! New Starbucks Reserve: Ka'u Launches August 20th. You can help a Starbucks partner win her dream wedding. What a great day you had and a chance to talk with Howard! Interesting how Matt returned to SB. How great you can walk from one store to another but I know there are so many stores in Seattle! How often do you go to a SB store at night? I hope you bought a lottery ticket because it sounds like today is your lucky day! You can write about Saturday mornings and chance meetings anytime. I think I am seeing a trend in old Partners returning to Starbucks. In my area I am running into experienced Partners that left 2 to 4 years ago that have returned. The two who have returned at my regular Starbucks said they were “recruited” back. Sometimes you do not know what you have until you do not have it any more, but you can also go back. Honestly, I think this was one of your best postings Melody! I now have to find Reserve Micro Blend 11 for myself! I appreciate the vote of confidence from everyone above! I really don’t think it is obvious with this blog, but there are definitely times I struggle with what to write, how to frame it, and the timing of when to post information. (I’m speaking generally about the blog.) You would think that after 4 years of blogging, I would get the hang of it. Instead, I still think my uncertainty and confusion comes through at times. But I really did not want to do that. 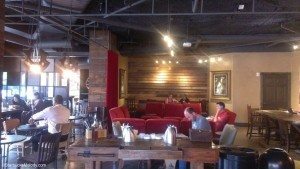 I don’t want to have readers on a wild goose chase for a coffee they’ll likely never find. And, I was hoping to make Matt the star of the article. Matt is a great person, and it was nice to catch up, and so I tried to write this in such a way that it was framed about Roy Street more generally, and Matt. Matt was the star! In any case, I ramble. And I appreciate that everyone above me liked it! first, an empty bus ride to roy street, purchasing two bags of this limited reserve, and then running into howard? please, please keep writing posts like this, because this totally just made my day!!!!!!!! and since i am over here gushing away, i’ll also take this moment to tell you how much i love your blog. you are such an inspiration to me, melody. Hey Jocelyn – if you want to go together next weekend to Roy St. on Sat morning, I’m game! You will love this store. Maybe you can talk the store manager, Jacob, into letting you transfer to it! 🙂 There are no Tazo shakers. i’ve been there before, and i do love it 🙂 my husband still raves about his latte he got there last year!!!!! i have next weekend off, so yes! I could get news about Starbucks and its offerings from any number of sources on the web. I appreciate your site because it is about personal connections with Starbucks. Starbucks is nothing without its partners and you consistently recognize partners for delivering the Starbucks experience. The chairman and ceo of one of the world’s most admired and respected companies engages you in conversation knowing who you are and the site you run, and you give most of the ink to a partner. I welcome posts like this and look forward to more. Great post and great comments. Such a lucky day for you, Melody. Great article! I love when there are seats by the espresso machine. I always fantasize about that with my store in my next redesign. And Matt sounds like a cool dude. I checked out his band’s facebook page. Thank you Becky E and CamSpi – Every store should have seating around the espresso machine! it’s the bar seating where you get to talk to the bartender. 😉 Matt is totally cool. Is SBUX planning on rolling out #11, or is this just a Seattle product? @Frank On my phone, sorry short & sloppy. My impression is that this coffee went to 2 stores (and maybe one restaurant!) w/ no real plans for a wider launch. I kinda tried to make the focus of this article Matt, but of course it’s so interesting that Starbucks would do that with a coffee, that I felt it was worth mentioning. Thanks for the comments. What a great article, and how inspiring. When i was reading i literally gasped when you mentioned seeing Howard! Fantastic! Mel, that would be SO much fun. I might just have to take you up on that! Melody, I don’t know why you were uncertain about this blog post, I loved it! It was entertaining & fun to read, I say more personal (diary posts as you call it) posts like this- don’t hold anything back for the fear of people not liking it. I agree with Organic Fair Trade Dave, that was your lucky day-you should’ve gotten a lottery ticket, haha. Keep up the great writing, doesn’t matter if it’s off topic or even no real topic, lol.